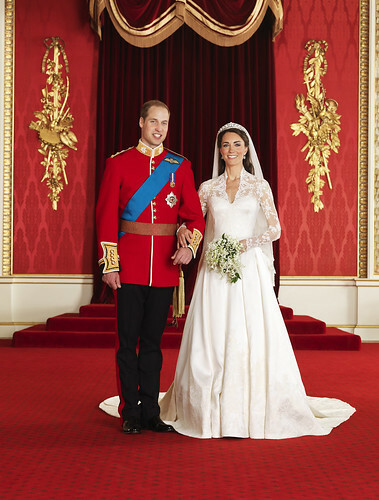 As predicted Prince William and Kate Middleton were ushered into a side entrance of Westminster Abbey last night to complete a final run-through of Friday's Royal Wedding ceremony. The couple arrived in a chauffeur-driven car around 7:30 p.m. (GMT) with their wedding party, which included Prince Harry, Pippa Middleton and the rest of Kate's immediate family including her parents, Michael and Carole, and brother James. They were met by senior members of the clergy to run through what will happen during the ceremony.